What software or method is best for downloading GMAIL to my local pc/drive? What software is best for downloading gmail to my local pc/drive? At one time, I downloaded with Systools gmail downloader, but I've had the account since 2008 and it has grown so much that I pay $15/year for 100GB of storage. I read that gmail downloader doesn't work with paid gmail accounts, only the free ones. I downloaded the latest version and tested it in demo mode.....working with the onsite tech, I kept getting "invalid credentials". I'm also uncomfortable with sharing my login with another party, even though they say they don't store the info. I have tons of junk mail, so if I POP the account to Outlook or a local client, it will probably crash. Imap only downloads the headers, as far as I know. What about GmailVault.org? Please help with this, it is a big headache.I have WIndows 10, chrome browser. We are currently using SharePoint Online with an Office 365 E3 license. We want to move data folders from one SharePoint Online Document Library to another SharePoint Online Document Library but aren't able to do this within the SharePoint Online functionalities. 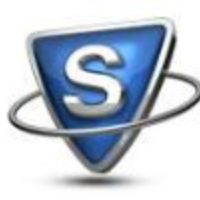 Therefore we are using the free tool - SPFileZilla 2013 - but with this free tool we first need to download the documents locally and then upload it again to the new/ other Document Library. We would like to use a tool where we can directly move documents from one SharePoint Document Library to another. We prefer a tool and not an SharePoint add-in. Does anyone know a tool which offers this functionality - free or paid? I would like to thank you in advance! Currently I am using easeus data recovery professional to try to recover in XP machine. While recovery is working fine for small files, it seems to take forever to recover this 750 GB file to internal or USB target disk. What happens is that after reaching to say 450 GB it comes almost to a standstill with very limited progress for days. Since both scan and initial recovery are working fine in XP, I doubt that moving disk to WIN7 would make much difference. Have tried other tools also, like stellar data recovery and systools hard disk drive recovery, but these tools don’t seem to work in XP (although they claim so). Hence my question is if anybody has recommendation for best professional tool to recover giga size files. SysTools Solutions have simplified the lives of millions of computer users and IT admins. Innovative risk management and business complaint data recovery solutions from SysTools have ushered in a new era of smart tools that are cost-effective and efficient.